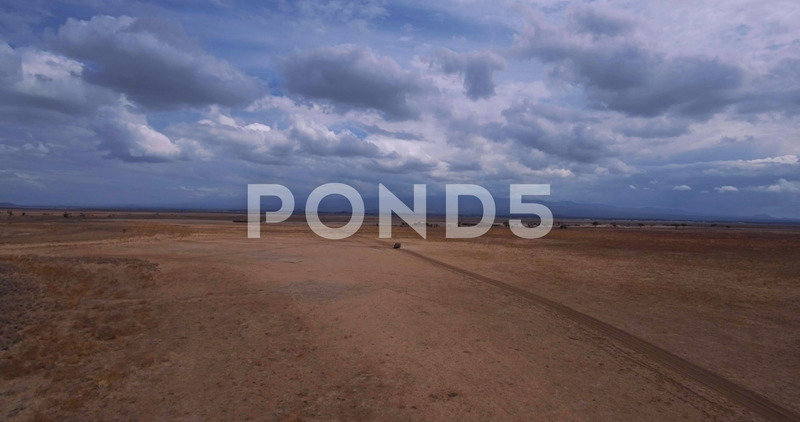 Description: Drone shot of SUV Driving through African savannah. Rangers tracking Poachers. Tourists on safari.